"Ultralight and highly compressible mummy. 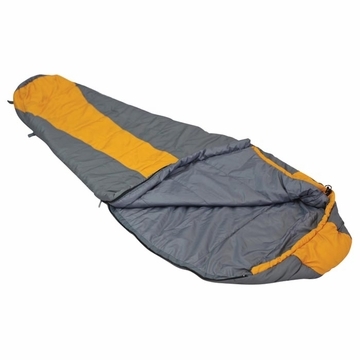 Double layer construction with full-length #5 two-way zipper (0° has locking zipper). Contour adjustable hood. External pocket. Anti-snag architecture. Versatile webbing eyelets. Water resistant. Includes compression sack. Size: 84"" x 32 x 20""
Carry Size: 16"" x 12""